Ensure compliance. Protect your drivers. Zonar Logs is our Hours-of-Service (HoS) application, accessible through our secure web portal, Ground Traffic Control®. 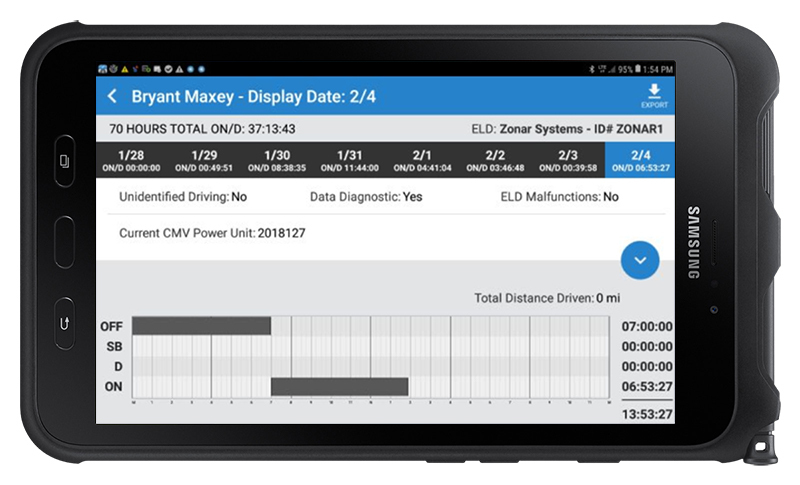 Automatic and tamper resistant, Zonar Logs helps you ensure your drivers operate safely and comply with the electronic logging device (ELD) mandate. It even automatically updates as laws change, so you can stay in compliance without being caught off guard. The easier it is to use, the easier it is for drivers to stay compliant. And the easier it is for you to ensure regulations are being followed. The Roadside View™ feature makes it easy for law enforcement to view the driver’s logs during a commercial vehicle roadside inspection. 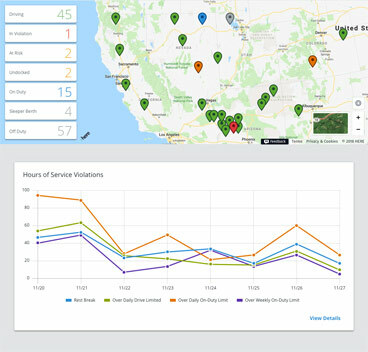 The Roadside View interface provides all required HoS information in a clean, easy-to-read view modeled after a paper log form. It also keeps other information on the tablet secure by locking down access to additional screens on the tablet. Roadside View and back-office view also display information uniformly, so drivers and dispatch can communicate more easily.